This statistic shows the revenues of Bayer from 2009 to 2018. Bayer AG is a chemical and pharmaceutical company, headquartered in Leverkusen, Germany. 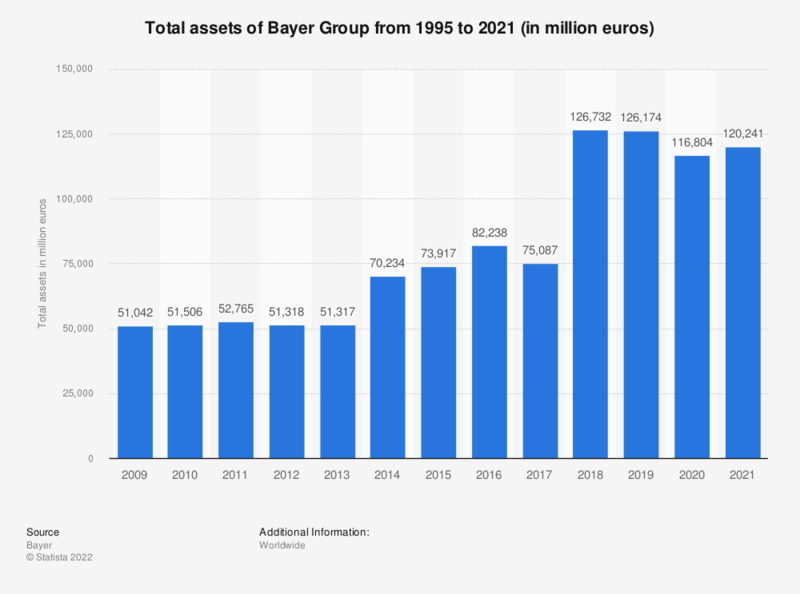 In 2018, Bayer AG had total assets of over 126 billion euros. The large increase compared to 2017 was mainly because of the acquisition of Monsanto.